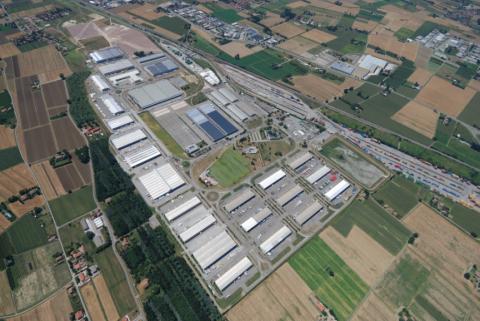 Italian Railways (Rete Ferroviaria Italiana – RFI) has signed a deal with Bologna Freight Village to create an ‘international rail gateway’ by reinvigorating intermodal rail traffic along Italy’s north-south axis and onto its ports. 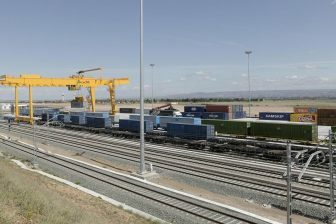 RFI said renewing the capabilities of the Interporto Bologna rail/road terminals complex was a major part of a nationwide project to accommodate longer trains by 2020, and upgrade infrastructure to meet the standards for freight trains along the European TEN-T corridors. The freight centre is home to some 100 companies, and covers an area of more than four million square feet, making it one of Europe’s largest intermodal platforms. The Memorandum of Understanding (MoM) signed in Rome is the result of a long-term national strategy aimed at boosting intermodal traffic across the Italian rail network, and demonstrates a commitment to deliver more investment in the nation’s railways. The agreement also complements the objectives of the European Union’s Transport White Paper, which predicts a 30 per cent shift of freight traffic from road to rail by 2030, and 50 per cent by 2050. Interporto Bologna is located where three of the European TEN-T transport corridors cross, the Scandinavian-Mediterranean; Mediterranean; and the Baltic-Adriatic. 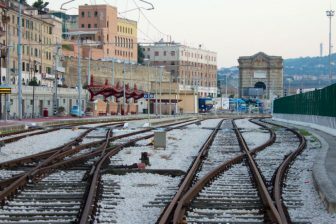 Updgrading the terminals to accommodate 750-metre long trains will, it is hoped, enable it to move from being a domestic hub to an international gateway, connecting northern and southern Italy, and the main ports along the Tyrrhenian and Adriatic coasts to continental Europe. Vital to the agreement between RFI and Interporto Bologna is a joint strategy between Italy’s seaports, dry ports and freight villages to capture a larger share of the deep sea container market by using rail to transfer cargoes to their final destination. Extending the length of trains and enabling the transportation of high cube cargo units along the major rail routes is also seen as the most effective method for lowering the unit cost in rail freight transport. This has been demonstrated, says RFI, by many pilot projects for longer freight trains across the continent.